Spanish jeweler TOUS, not content with one measly branch in the Beverly Center, seems to be planning a full-scale invasion of LA's Westfield malls. The TOUS in Westfield Fashion Square opened last Friday, and according to the brand's website, stores in the Westfield Topanga and the Westfield Century City are also in the works. 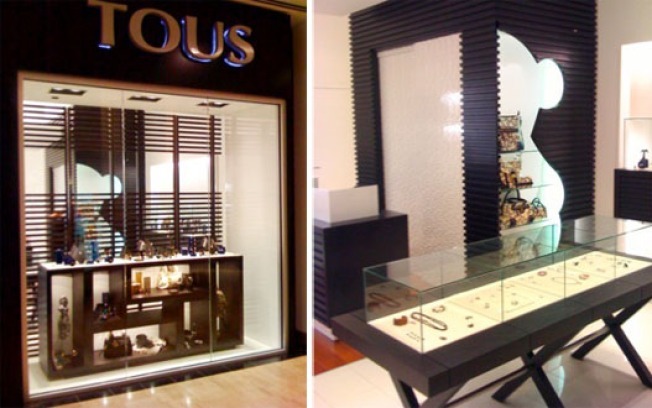 As per TOUS custom, all three will be black-on-white affairs with stark walls and serrated wooden moldings decorated with the company's big bear logo, and all three will carry jewelry for men, women, and precocious children.